The incident took place in J&K's Nowshera sector. The pilot who was shot down ejected in Pakistani territory. New Delhi: The Indian Air Force Wednesday shot down a Pakistan Air Force F-16 fighter jet – one of three that intruded 7 km into Indian territory across the Line of Control, a top defence source told ThePrint. The incident happened in the Nowshera sector at around 10.30 am, the source said. The pilot of the F-16 that was shot down ejected in Pakistani territory, the source added. The Pakistani jets targeted four sites on the Indian side including an ammunition dump but were chased away by Indian Air Force MiG-29s patrolling the area, the source said. 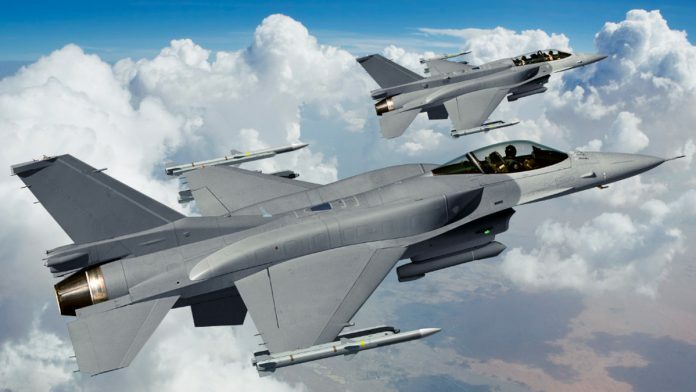 The F-16s apparently dropped bombs near the targets and this, the source said, could be interpreted as a signal that the PAF could hit the targets if it wants to. Tension between India and Pakistan has escalated after the Indian Air Force launched air strikes on terrorist training camps in Pakistan on Tuesday. Pakistan has claimed that it had shot down two Indian fighter jets inside its airspace and arrested one of its pilots. There was no immediate response to the claim by the Indian Air Force or the Indian defence ministry. “In response to PAF strikes this morning as released by MoFA, IAF crossed LOC,” Pakistan’s Director-General Inter-Services Public Relations, Major-General Asif Ghafoor, tweeted. A statement released from his office had said Pakistan would respond “at the time and place of its choosing,” and rejected India’s claim that it had hit a terror camp or inflicted heavy casualties. “Once again the Indian government has resorted to a self-serving, reckless and fictitious claim,” the statement had said. This report has been updated with details of the Pakistani intrusion.